Horseshoe Crabs were a fascination of my childhood summers at Short Beach in Stratford, Connecticut. I used to find the cast-off shells, an inch and a half long to as large as eight inches, on the protected beaches adjacent to the mouth of the Housatonic River. The live adults would appear in the month of June, gathering to spawn. 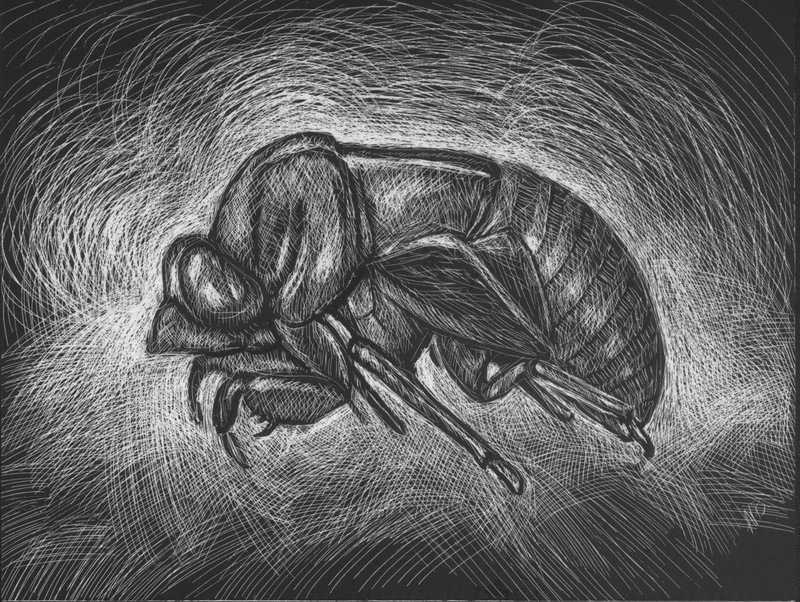 This is another scratchboard drawing, a small sketch of 4.25" x 5.5", on paper mounted on panel. 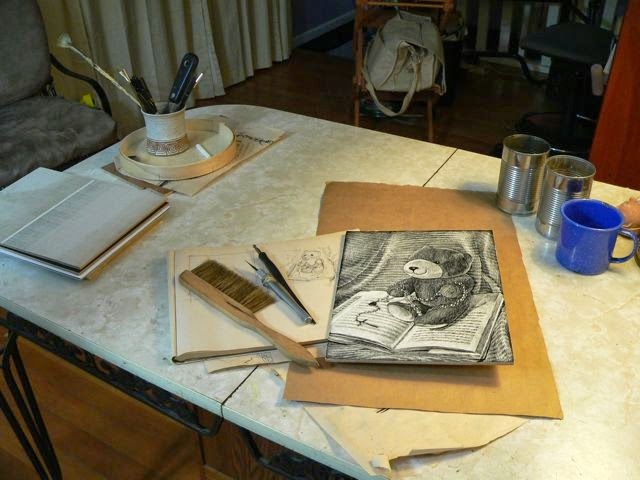 It is unframed, and sealed with a spray fixative. 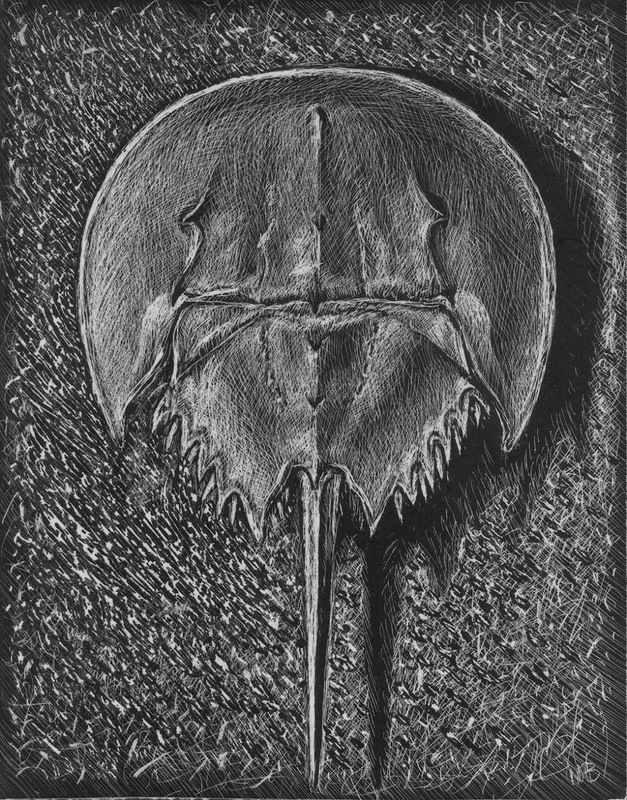 I hope to do much larger drawings of the horseshoe crab, as the shells have such wonderful detail and subtle surface values. This original drawing is up for auction on Ebay. Prints are available in my Etsy store. 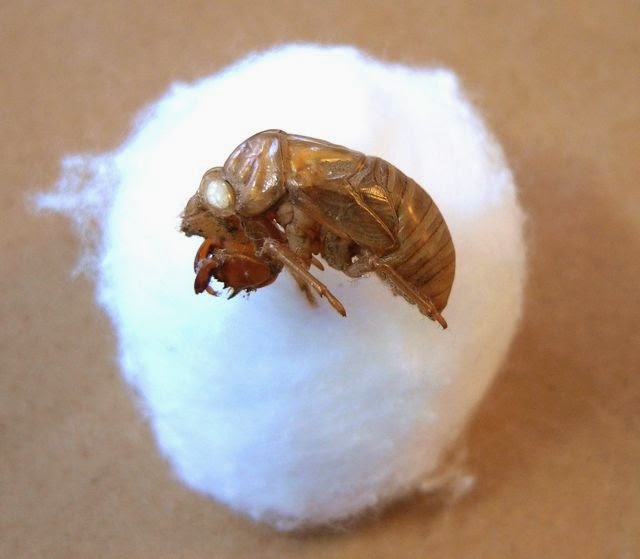 This is a study of a cicada husk, left over from last years hatch. 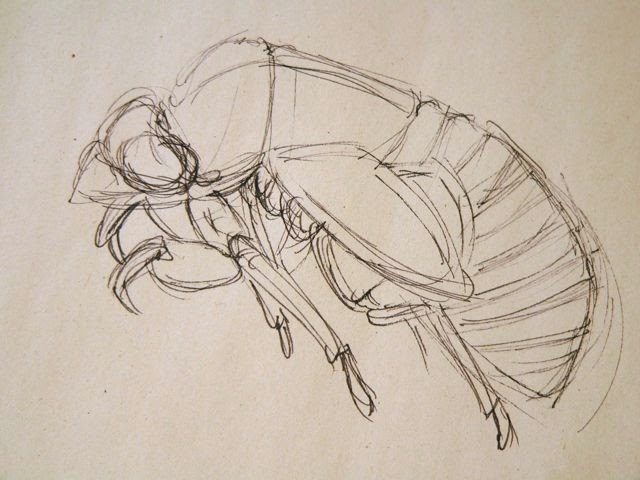 It was a hot summer, here in Connecticut, just what our local dog-day cicadas love. Long live Tibicen Canicularis, and their electric August music! 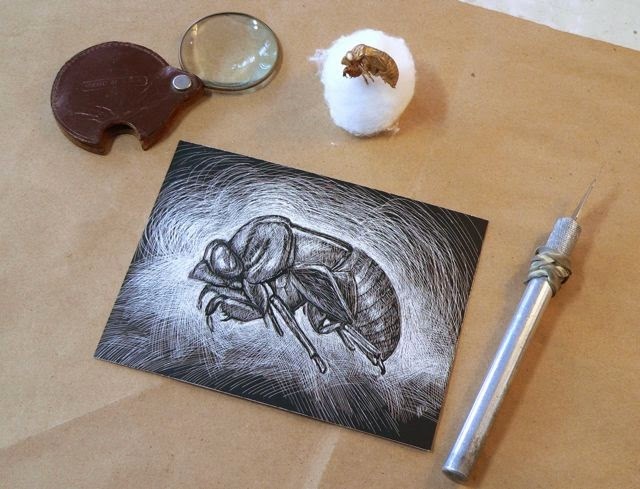 The drawing is 4.25" x 5.5", done with the fine point of an X-Acto knife on scratchboard paper. You can follow the auction for this drawing on EBay. 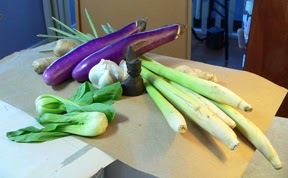 Produce from the local Asian market: lemongrass, baby bok choy, garlic, ginger, and Thai eggplants. In the center of the still life, sits a small carved wooden bust. Could she be an exotic princess, or a mysterious deity? 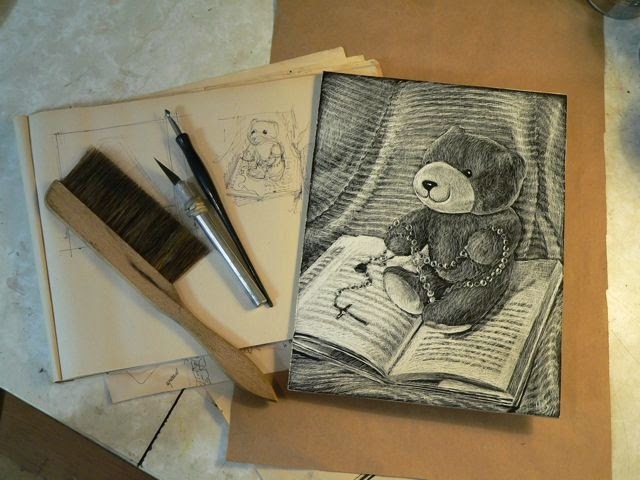 This is an 8.5" x 11" drawing done on scratchboard paper, adhered to a panel and sealed with spray fixative. Follow the auction on EBay. 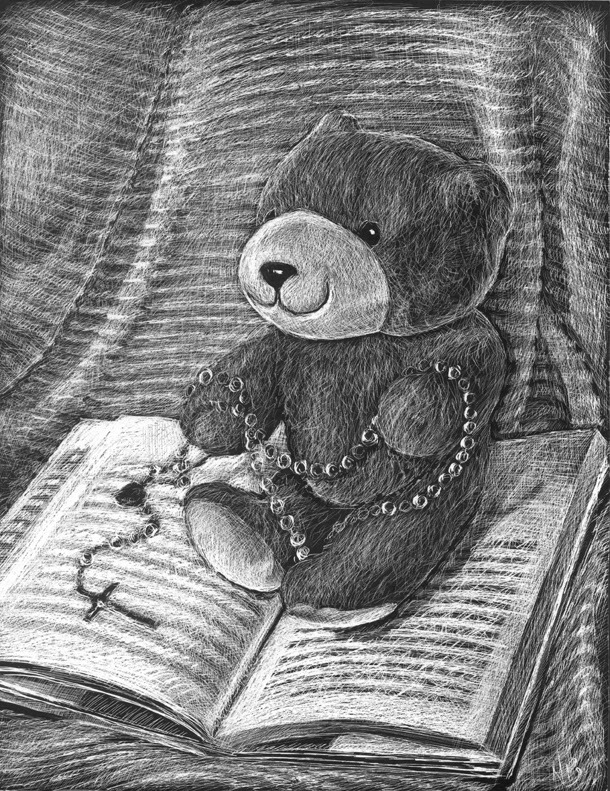 "Emotional comforts: An old teddy bear, the book "How to Meditate" by Pema Chödrön, and my mother's rosary." 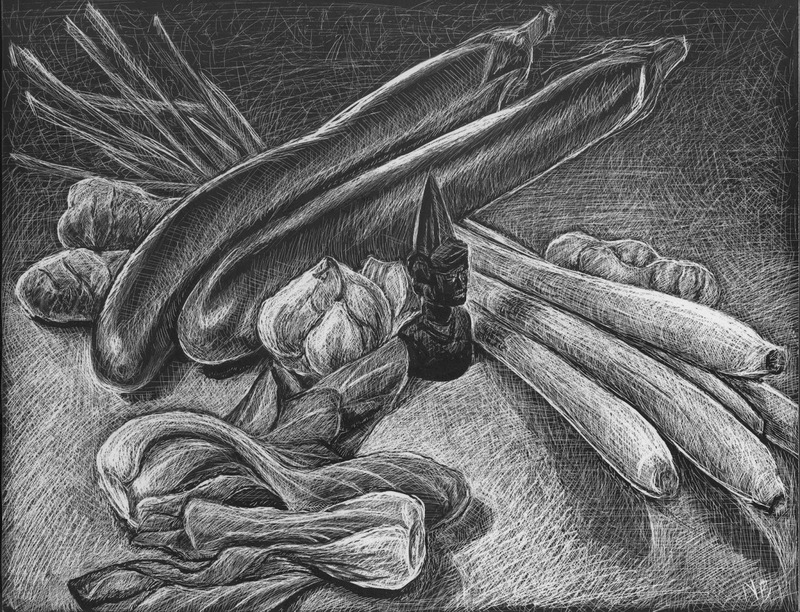 This is an 8.5" x 11" still life drawing, done on scratchboard paper, fixed to panel, unframed. Follow the auction on EBay. After finishing this drawing, the ingredients became my dinner. The eggs and avocado were a rich appetizer. The pepper, tomatoes, and tomatillos were sautéed with a Swai filet, the tomatillos giving the dish a light lemony tang. It was one of those "feel-good long afterward" meals. My appreciation goes to Mexico, our southern neighbors who grow such wonderful produce. Tonight. . . the beans. 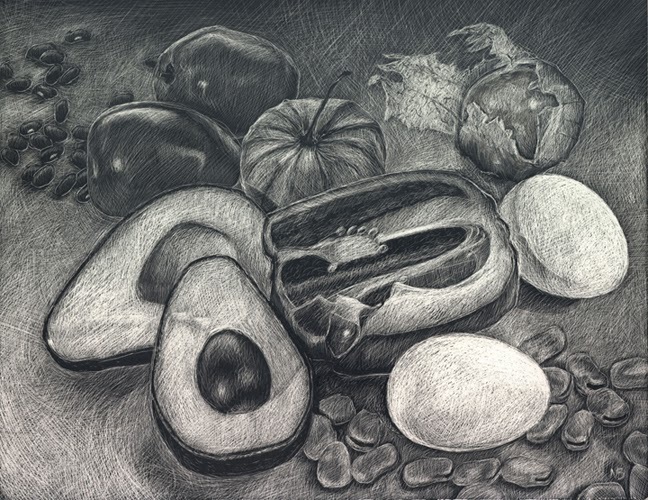 This is an 8.5" x 11" drawing done on scratchboard that is made and sold locally, by a small company that sells toys and art supplies for children, Melissa & Doug. My thanks to them. The child in me is thoroughly enjoying their art materials.